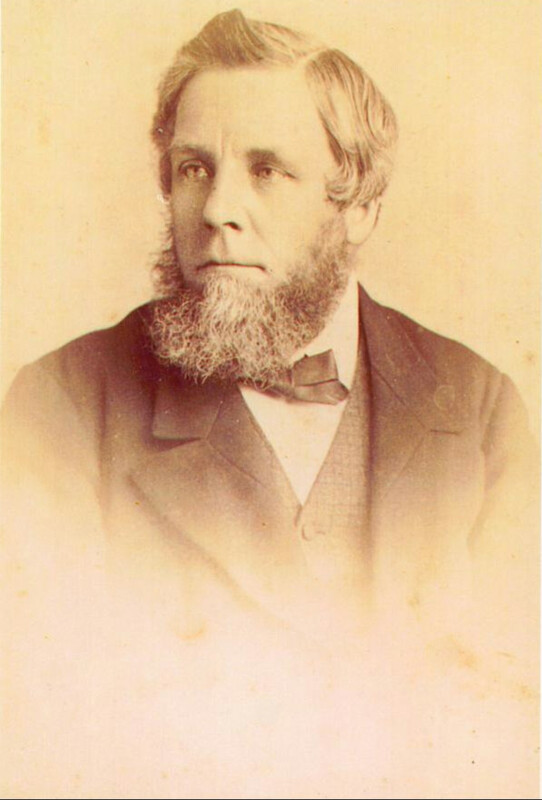 This post is the first in a 3-part series about an English ancestor who was a fervent anti-vaccinator in the late 1800s. My source for all the newspaper articles was the 19th-century British Library Newspapers online, which were made public in 2009. (They had previously been available to UK higher education communities only.) This is different from the recently launched The British Newspaper Archive, which contains 19th- and 20th-century newspapers and is being updated daily with new pages. Joseph Alfred Petvin was born in 1830 in Somerset County, England. Like his father and his grandfather, Joseph was a member of the Religious Society of Friends—a Quaker. Family lore characterizes him as a tough, no-nonsense individual who was a successful commercial traveler for Fry’s, the Quaker-owned chocolate company that later merged with Cadbury’s. He has also been credited with destroying the family fortune through poor investments and forfeiting some real estate by neglecting to collect his tenant’s rents. It was hardly a surprise then, to recently discover he was also an anti-vaccinator. Public vaccination for smallpox was introduced in England with the Vaccination Act of 1840, and made compulsory by law in 1853. However, there were no means to pursue those who did not comply, and oversight of vaccinations was difficult. By 1871, each district was required to hire a vaccination officer to ensure that infants in their district were vaccinated. Officers were allowed to take parents to court for not vaccinating their child, where they could be fined if found guilty. If the imposed fine remained unpaid, one of the parents could be sent to jail for up to two weeks. It is unclear whether this was Joseph’s first notice, but we do know that he and his wife Emma had a new baby at home. Their daughter, Annie Marian Petvin, was about four months old when the 1881 census was taken in April. Two months later, in January 1882, Joseph appeared before the local Petty Session and was charged with “having neglected to have his child, Annie Marian, vaccinated within three months of her birth… at the time appointed for the attendance of the public vaccinator.” Joseph stated he had conscientious objections to vaccination, and also felt he was being selectively prosecuted. The guardians disagreed and remarked it was their duty to prosecute and enforce the Act. He was fined £1—the equivalent to $150 today—plus costs. By March, Joseph had still not complied, and the Board of Guardians decided to take further action against him in the event that Annie Marian remained unvaccinated three months from the date of the last prosecution. That would only be one month away. The following month’s district news in the Bristol Mercury and Daily Post appears under the heading “An Anti-Vaccinator.” Joseph was summoned to show cause why an order should not be made upon him to have his child vaccinated. He declared that no further action could be taken against him, as he had previously been fined for default. Furthermore, he contended that the board’s decision in March to take further action, before the three months were up, was not in compliance with the law. He threatened to file an appeal. Joseph was ordered to have Annie vaccinated within 14 days and to pay the costs of the case.